The impact of the Internet of Things (IoT) on rail travel and transport will be enormous and industry-disrupting. Real-time data, improved safety, and massive cost-savings are all a part of the IoT story, but challenges regarding security and investment costs need to be overcome to ensure proper implementation. 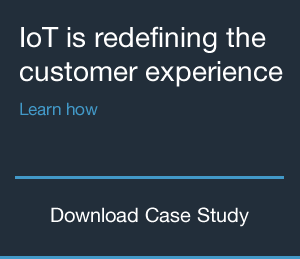 The good news is that IoT solutions are more than worth the work involved. IoT in the context of the rail industry promises efficiency gains with utilizing M2M technology, for a “smart rail” system through GPS trackers, wayside signals, surveillance cameras, wireless routers and other tracking devices. This technology explosion allows rail operators and command centers to add more capacity on rail lines, meaning more cargo and people can be transported than ever before. With the U.S. Department of Transportation estimating rail freight demand will increase by 88 percent by 2035, IoT will play a vital role in ensuring rail operators meet this demand. It’s not just about efficiency and convenience – it’s also about safety. IoT ensures that rail operators and command centers know where trains are in relation to one another at all times. IoT can even automatically regulate a train’s speed based on real-time data, helping reduce the chance of a collision. At the same time, IoT means repair crews can access train information on tablets, relay repair reports to command centers and even e-mail inventory requests. IoT can also help directly monitor equipment as well as the condition of the train tracks, which drastically reduces maintenance costs through preventative measures. Much of the data IoT generates can be cheaply processed in the cloud, but considerable safety precautions must be taken to meet railway security standards. That means taking security measures such as using end-to-end closed links for all devices in the IoT rail network and installing pre-validated software and hardware. IoT systems may also have difficulty integrating legacy systems without the right strategy. In many cases, legacy system limitations can be overcome by allowing different legacy devices to be accessed via gateways that can basically “translate” between devices. Even though upfront investments are needed, the cost savings are substantial. For example, the UK Railroad Telecommunications Network, an asset of Network Rail Telecom, commissioned research which indicates that in-cab signaling solutions seen in IoT networks are 40% cheaper than traditional signaling systems due to increased track capacity for rail operators. Ultimately, IoT is the future of the rail industry. That’s why it’s time to embrace this technology now.